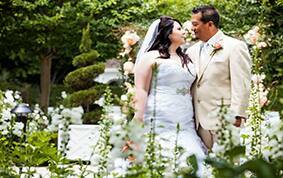 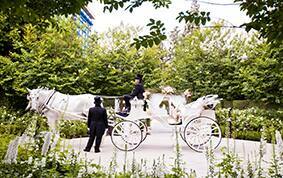 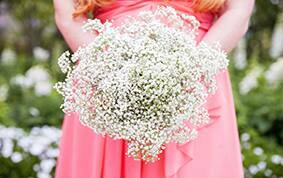 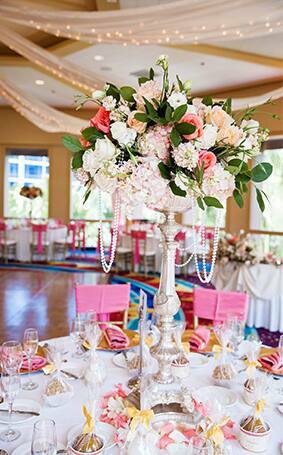 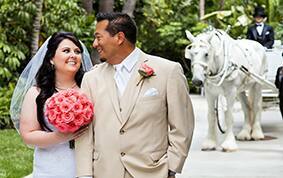 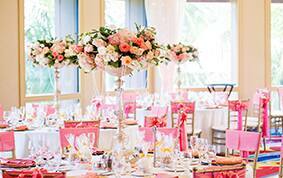 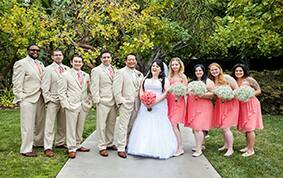 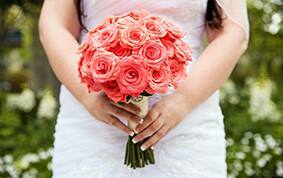 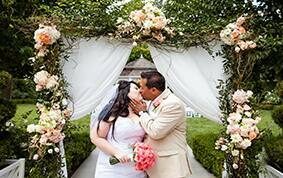 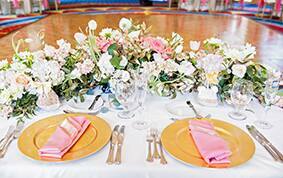 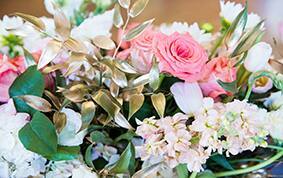 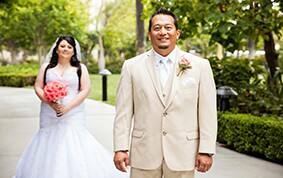 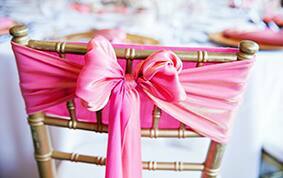 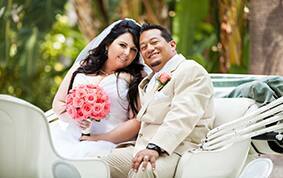 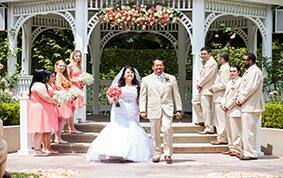 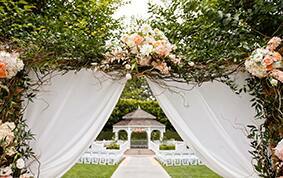 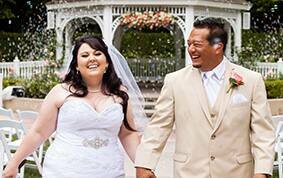 Summer has officially arrived which means love is in full bloom here at Disney's Fairy Tale Weddings & Honeymoons. 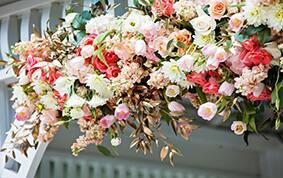 I'm delighted to kick off one of my most favorite seasons with this darling secret garden inspired wedding from the Disneyland Resort. 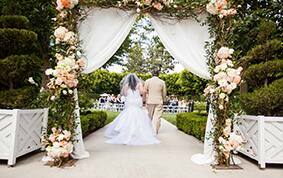 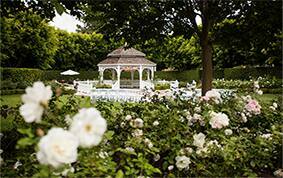 Alecia and Dan's first meeting was love at first sight and that's the same emotion I felt when I first laid eyes on their ultra romantic Rose Court Garden ceremony. 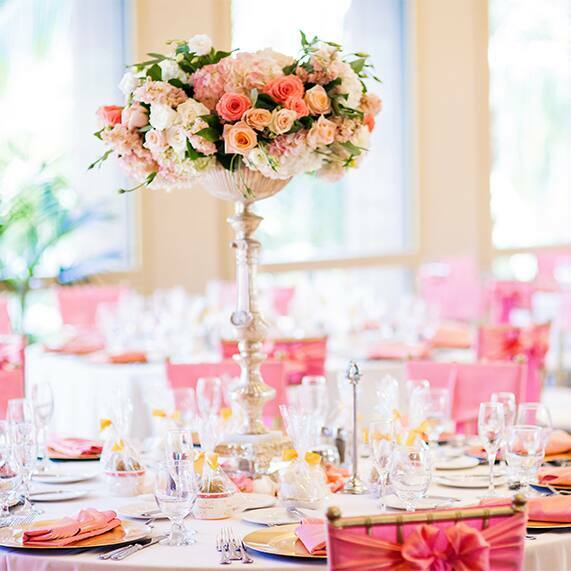 My heart continued to flutter with love when I saw the Sleeping Beauty Pavilion become a summer vision sprinkled with pastel accents and, of course, happily ever after. 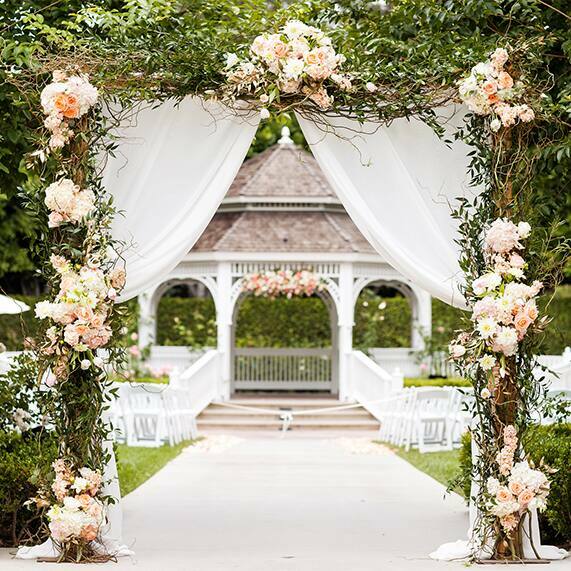 From the horse drawn carriage to the gorgeous arch overflowing with elegant blooms, Alecia and Dan's celebration was everything a fairy tale should be. 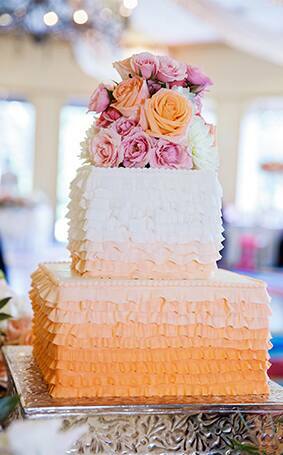 In case you missed it, we featured Alecia and Dan's ruffle ombre cake as part of this week's Wedding Cake Wednesday.